We stock our sheetrock in standard sizes ranging from 1/4” to 5/8” thickness, and we also offer sheets in tapered and beveled finishes for easy installation. 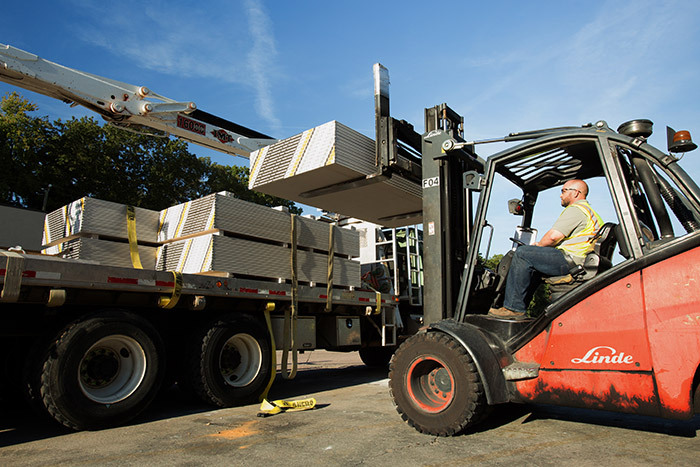 Commonwealth Building Materials believes that a quality drywall product – delivered on time – is an essential part of a professional construction project. 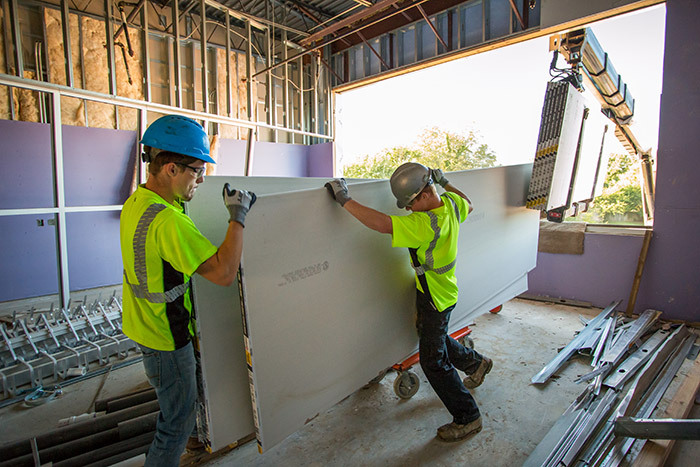 Whether you’re working on a large commercial building or a smaller personal residence, our knowledgeable professionals will make sure you have the exact sheetrock you need to complete your job on time and to design specifications. As an added convenience, our customers may also call orders in ahead of time for pickup at a local yard if desired. Is there a sheetrock drywall supplier near me? Commonwealth’s six convenient locations means there is likely a yard near you. 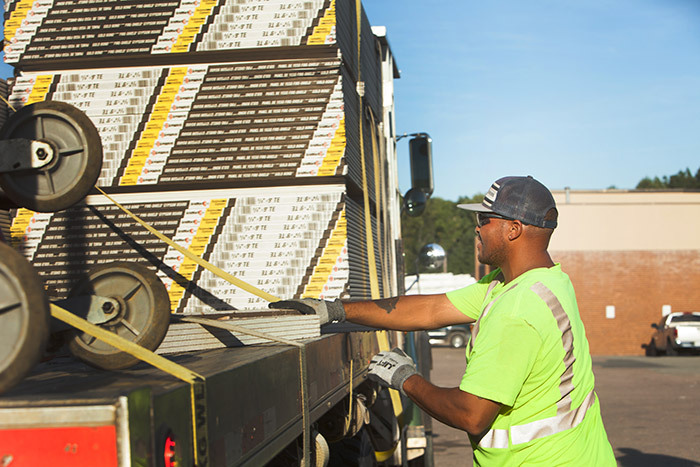 Each of our locations offers delivery service within a 70 mile radius so that customers across Virginia have access to a professional drywall supply company for all of their commercial and residential construction projects. We are locally operated but have the backing of Gypsum Management & Supply, Inc. – the leading drywall distributor in the United States.